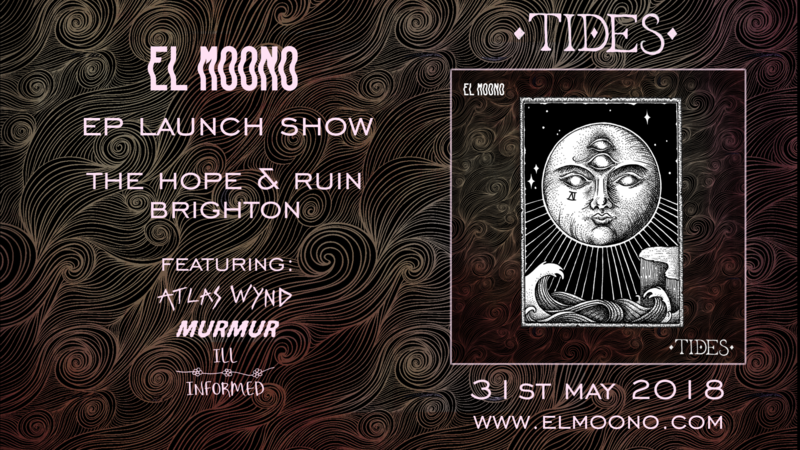 Featuring the singles 'Over The Weather' and 'Killing Time', 'Tides' will be released on 31st May 2018 along with a headline show at The Hope & Ruin, Brighton. The EP was recorded in July 2017 at Ford Lane Studios, and since the session the band has toured the UK capturing crowds with their unique blend of Math-Rock and Grunge. LAUNCH SHOW TICKETS ON SALE NOW Support comes from Atlas Wynd, Murmur and Ill-Informed. 'All The Riffs' - Kerrang!